We offer a friendly, reliable and punctual domestic window cleaning service in Staines Upon Thames, Ashford, Sunbury on Thames, Weybridge, Walton on Thames, Wraysbury, Datchet, Windsor, Egham, Englefield Green, and surrounding areas in Middlesex and Surrey. We clean domestic windows using traditional methods, although a water fed pole system will be used for the safe access of higher e.g. loft conversion, or difficult to access windows. We also recommended it for leaded windows where it gives a preferable result. Our standard service includes the cleaning of external window and door glass, wiping frames free from drips, and cleaning the window sills. Cleaning frequencies offered are 4, 6, 8, 10 and 12 weeks. We will tailor our service to meet your specific requirements. 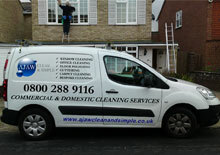 For example, a text alert or phone call to advise of our intention to clean your windows. Our window cleaners are easily identifiable. 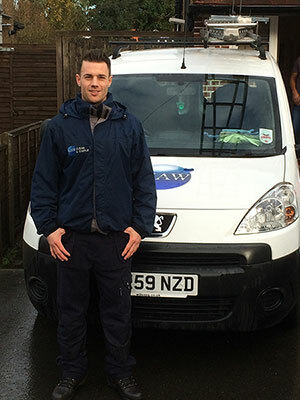 All of our company vans are signed up and all of our window cleaners wear a uniform displaying our company logo, and carry photo ID. For your ease and convenience we offer payment by online bank transfer. We can also accept payment by cheque or cash. Payment terms are 14 days from the date of cleaning (although if paying by cash it will be necessary to pay the window cleaning on the day of the clean). 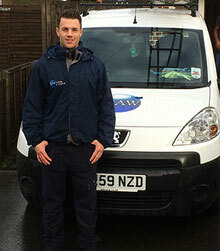 For great quality window cleaning in Staines call AJAW Clean and Simple today. 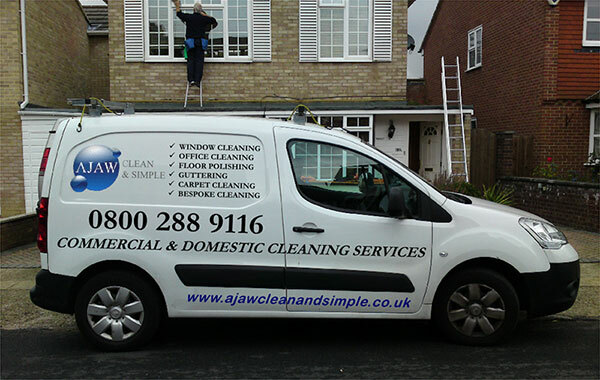 For domestic window cleaning in Staines upon Thames, Ashford, Sunbury on Thames, Weybridge, Walton on Thames, Wraysbury, Datchet, Windsor, Egham, Englefield Green and surrounding areas in Middlesex and Surrey contact AJAW Clean and Simple today on 01784 457148. Your satisfaction is of paramount importance to us. We guarantee our work. In the event that you were not happy with the standard of cleaning service received we would aim to return within 48 hours. Please contact us for a free, no obligation quote!